Do you like hip-hop? 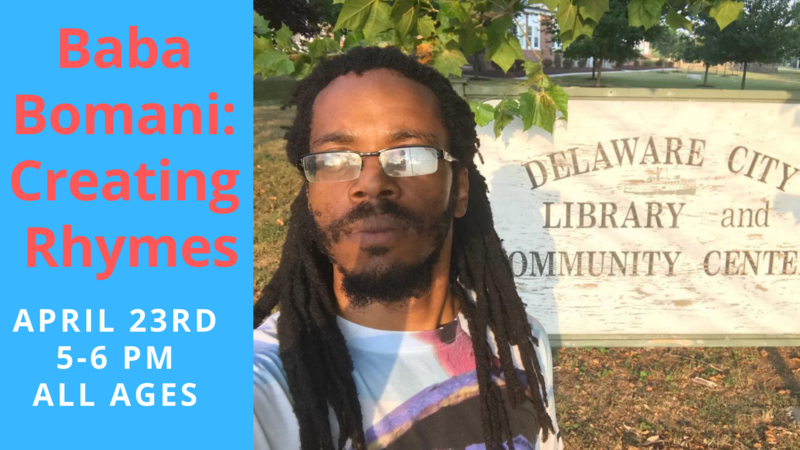 Try your hand at writing your own rhymes with the help of Baba Bomani! Baba has been using hip-hop, poetry and multi-media disciplines to teach kids creative writing for over 15 years. This program is open to all ages. Registration isn't required, but it is requested. Call 302-834-4148 for more information.